The Family Educational Rights and Privacy Act (FERPA) was passed by Congress in 1974 to protect student records from being shared with those who do not have a legitimate reason to access them. Under the provisions of FERPA, Harris-Stowe State University will not release academic record information without student authorization and will withhold directory information at the student’s request. Note: Some exceptions apply. In accordance with FERPA, currently enrolled students have the right to withhold disclosure of “Directory Information." Should a student decide to request nondisclosure of information, any requests for such information will be refused. Students are encouraged to carefully consider the consequences of any decision to withhold such Directory Information. Requests for nondisclosure are valid until an official written request to rescind the request for nondisclosure of directory information is received by the Office of the Registrar. The University will disclose information from the academic record with the consent of the student to the specified person(s). Access may be granted to parents, guardians, spouse, and others as indicated. Valid identification is required. The authorization to release information is valid until an official written request is received in the Office of the Registrar to rescind the authorization. Students may give authorization to specific persons by completing the FERPA AUTHORIZATION FORM or request nondisclosure of information by completing the FERPA NONDISCLOSURE FORM online through the MYHSSU student portal (see Registrar Forms located in the under the Students tab). 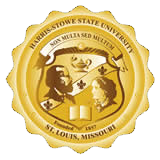 Click here to view Harris-Stowe State University’s FERPA Policy.